If you want to have a big kingdom in the fastest way possible, you need to have detailed information about all the mechanics of Blaze of Battle. But it’s not as easy as it sounds: Blaze of Battle uses a lot of complex systems together, and it can take a while to learn all of them. 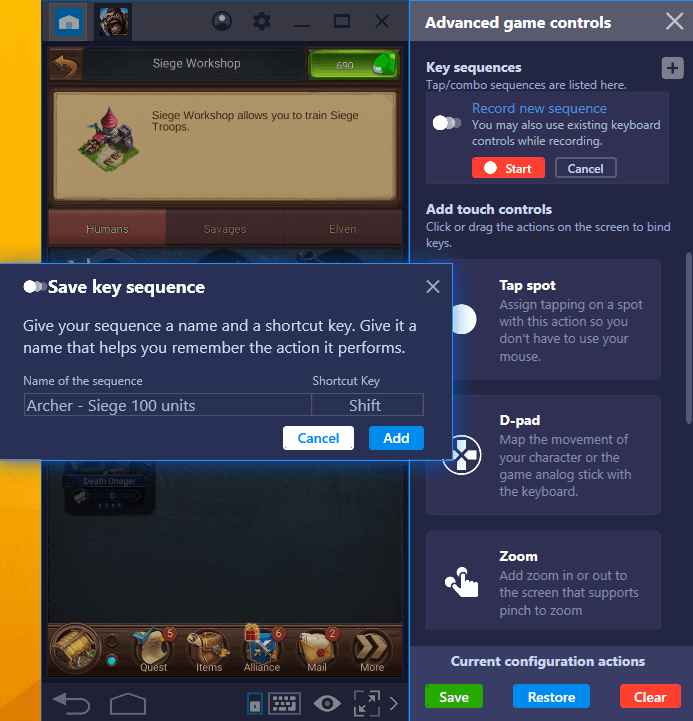 To make things easier, BlueStacks has a special Tips and Tricks Guide for its users. Below, you can see lots of tricks to help make you a stronger Lord. Blaze of Battle has a VIP system like many other similar games. Players using this system can complete both their military training and resource production much faster. At the beginning of the game, you will get a free scroll that will allow you to be a VIP player for 24 hours, but after that, you can only purchase these scrolls with gems. 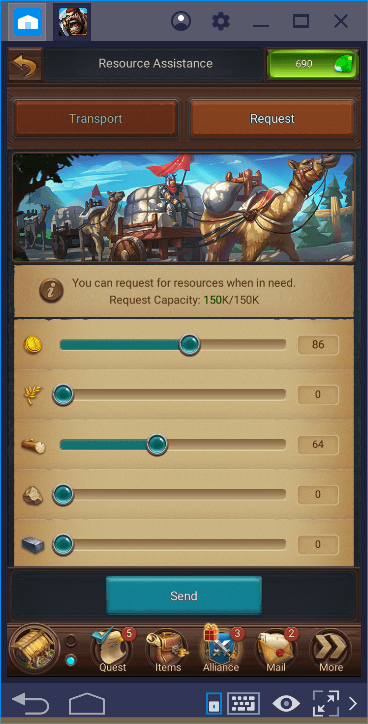 Gems are the main currency of Blaze of Battle: You can use them to instantly have everything in the game, and for example, complete a research in a matter of seconds. Throughout the game, you will earn a lot of free gems for different achievements. For example, we were able to get more than 500 gems free of charge in just 2 days. You will have many opportunities to use these free gems, but we recommend using them only to purchase VIP status. By doing that, you can obtain permanent buffs. For example, a level 10 VIP player can increase his military power and resource production by 15%. 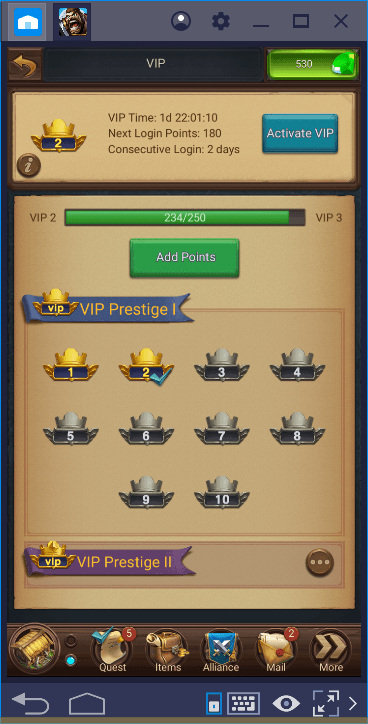 The higher your VIP level, the more bonuses you earn. Therefore, use your free gems to obtain permanent VIP buffs, not to shorten construction, training, or research times. Don’t forget to check your inventory on a regular basis: To do this, click the “items” button on the main menu and switch to the “resource” tab. We are sure that you will see thousands of free resources waiting for you. If you want to win free gems, one of the easiest ways to do this is to follow “gem bounties”. You can think of them as special achievements, but each with a certain time limit. In other words, Blaze of Battle gives players a specific goal and sets a time limit to achieve it: If you accomplish the goal before the time is up, you can earn up to 800 gems for free. Gem bounties are constantly changing and some last for a few days, some only for a few hours. Every time you log in to the game, we recommend that you check for new bounties and try to complete them. 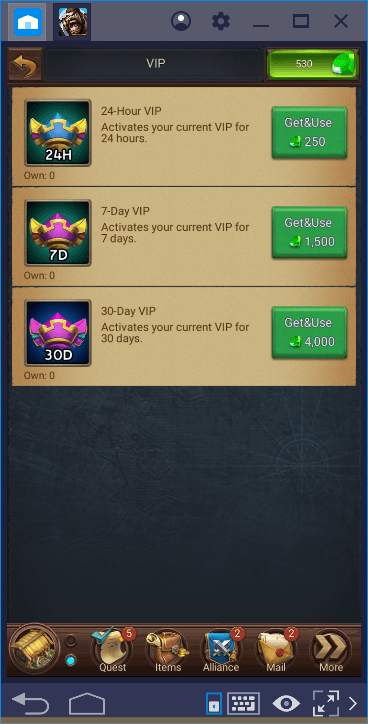 You can use the gems you win with this method to purchase the VIP status described above. The best method to win Lord XP points is to complete different quest types every day. We mentioned the importance of Lord XP points in our Research guide: You get skill points as you level up and you can use them to improve your city. By completing multiple quests every day, you can easily earn XP points to level up. 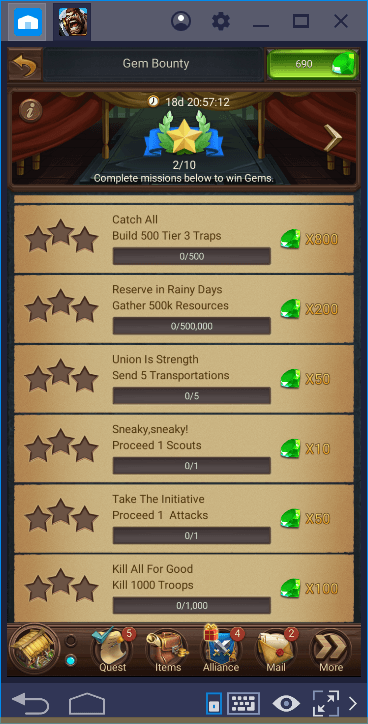 Start by clicking the “quests” button in the main menu. 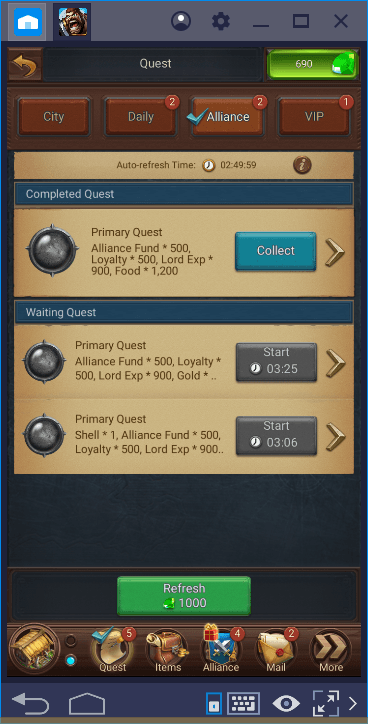 On this screen, you will see that there are four different types of quests to complete. The ones under the “City” category are actually achievements: Once you have completed a construction or a research, you will automatically earn an award. The Daily tab contains multiple short-term quests that you can complete every day. 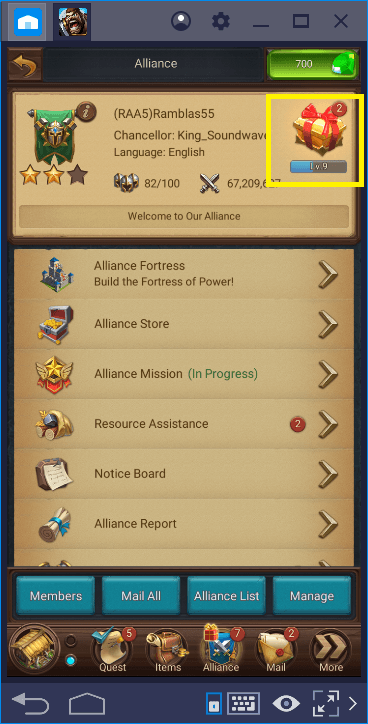 You can only use the Alliance tab if you are a guild member. Likewise, the VIP tab is only available to players with this title. 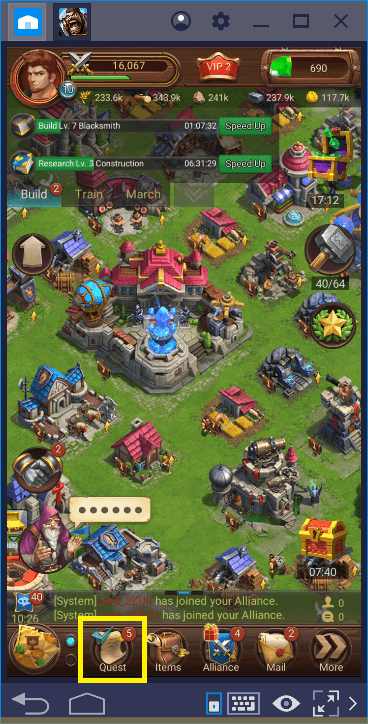 VIP quests are the best option to gain Lord XP points, as you can guess. However, you can get a satisfactory amount of XP from Alliance quests too. In any case, remember to complete the tasks on these tabs every day until you reach the daily limit. We were able to become a level 10 Lord in 2 days using this method. Using BlueStacks’ multi-instance and combo key features, you can turn Blaze of Battle into a much more enjoyable game. Both features will provide you with different advantages. Let’s start with multi-instance: Blaze of Battle guild members can exchange resources with each other. So, if you have a specific source you need, you can request it from an alliance member without having to produce it. With the BlueStacks multi-instance feature, you don’t need to depend on other players to make this exchange. All you have to do is create multiple accounts through different instances and join the same guild from all accounts. You can now exchange resources with your main account, using the auxiliary ones from other BlueStacks instances. After that, you can assign a different task to each of your accounts. For example, one of your accounts can only produce resources while the other can focus on troop training. By using the exchange method, you can always keep your main account in the best possible condition. 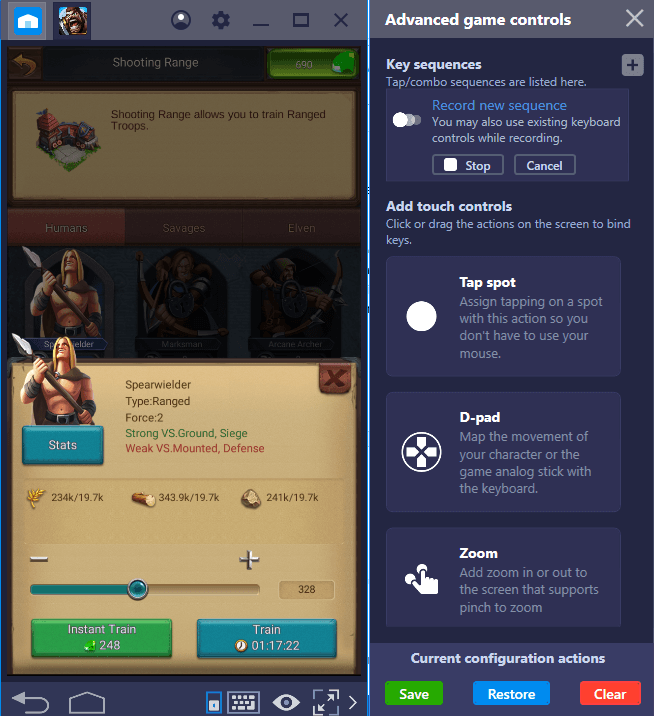 To simplify the management of all these accounts, the Combo Key feature will be very useful: For example, you can create a combo to give multiple troop training orders and get rid of dozens of clicks. Start the recording and give training orders. You can keep the action chain as long as you like and add complex orders. End the recording and give it a name. In the future, you can quickly repeat this order on all of your accounts and save time. One of the best things about being a member of an alliance is that everyone gets a gift when someone buys something from the in-game store. 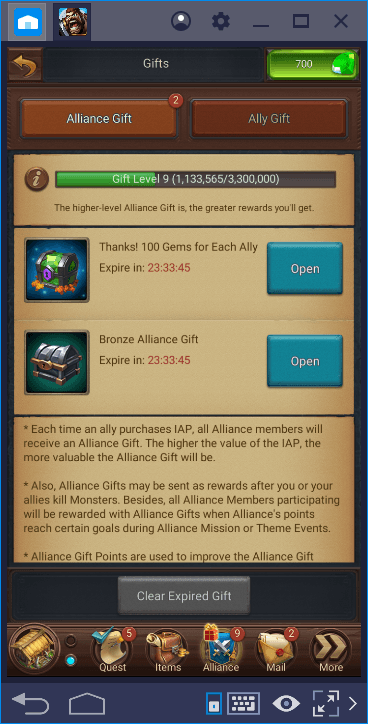 If your alliance buddies are not afraid of spending real money, you can also earn something from each purchase. 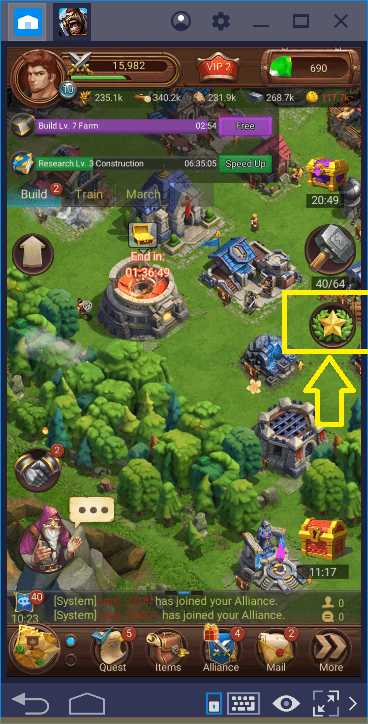 Open the guild screen and look in the upper-right corner: If you see a chest symbol, there is a reward you can claim. 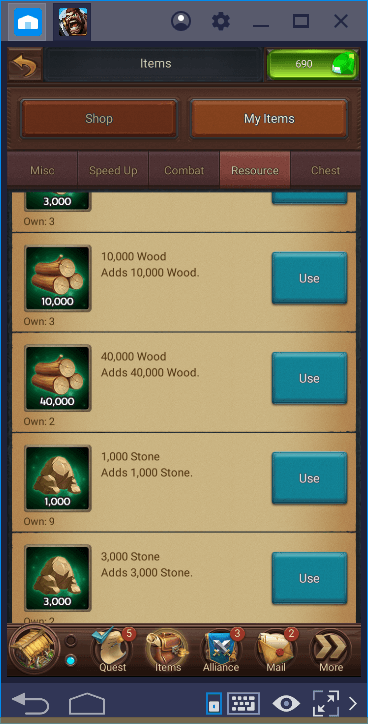 These chests give valuable resources and gems as a reward, so don’t forget to check this screen frequently. Each chest should be claimed within 24 hours, otherwise, it disappears. 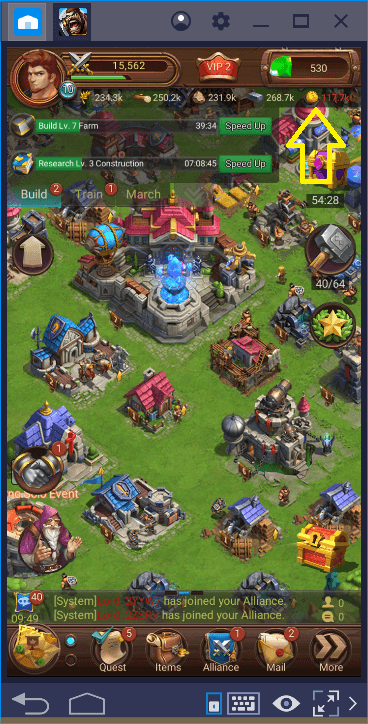 Don’t forget to check out other Bluestacks guides to learn more about Blaze of Battle. We highly recommend reading our guides about combat mechanics and buildings – both of them contain lots of information about empowering your kingdom in the most efficient way. Join us on BlueStacks and let’s conquer this world together!